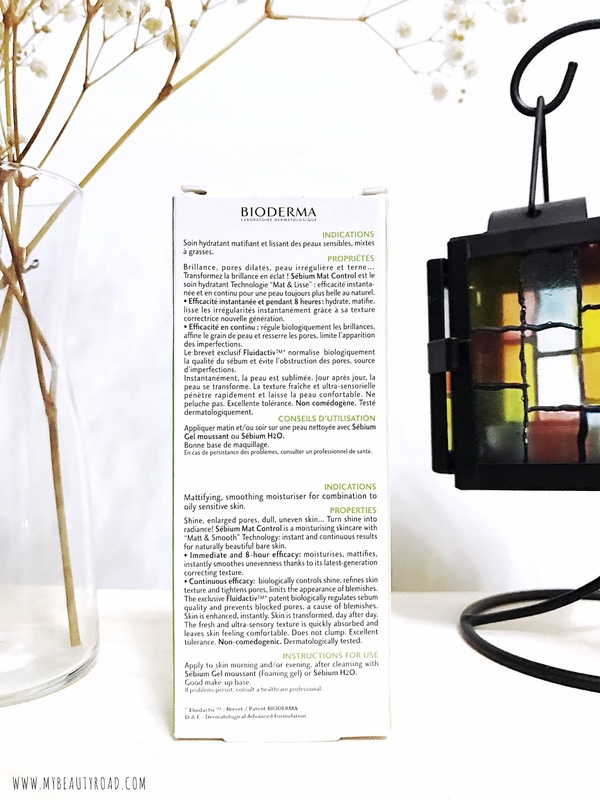 Imbalances and changes in hormonal activity can result in the excess production of sebum, putting one at risk of qualitative sebum abnormality. Having thicker sebum makes it difficult for the oil to flow out of the follicle, increasing the risk of clogged pores and pimples. On a brighter note, having oilier skin actually prevents damage to the skin's immune system and even preserves the antioxidant reserves, which is why people with oily skin tend to have fewer wrinkles with age. Using skincare products that are not suitable for your skin can irritate and worsen acne-prone and oily skin. For instance, the use of aggressive cleansing products can lead to skin barrier issues, pH instability and reactional hyperseborrhea, whereby the skin produces even more sebum to compensate for the removal of all the sebum from its surface. Diet and stress are some factors that can influence the production of sebum. A high-glycemic diet (sugar, flour, rice etc) and even high stress levels, for example, can elevate hormones that increase the activity of sebaceous glands, contributing to the formation of acne. Skincare Tip: Be patient and stick with a targeted treatment programme, using products from a dermo-cosmetic range that is created for oily, blemish-prone skin. Depending on each individual and the type of acne, improvement is generally observed. 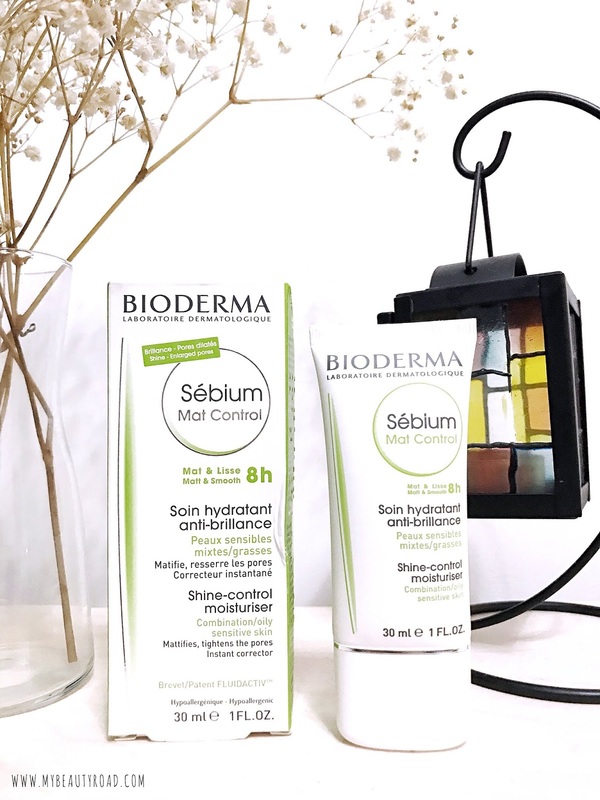 The Bioderma Sebium range contains Fluidactiv™ Patent, and it is the only patent in the market that biologically regulates the quality of sebum, similar to that of healthy skin. It also helps to stop the process that causes pimples and clogged pores to form. Let's zoom in on the two new products from the range. Description: This non-sticky toning lotion is specially formulated to soothe and treat oily skin. It is also specially formulated for Asian Skin. 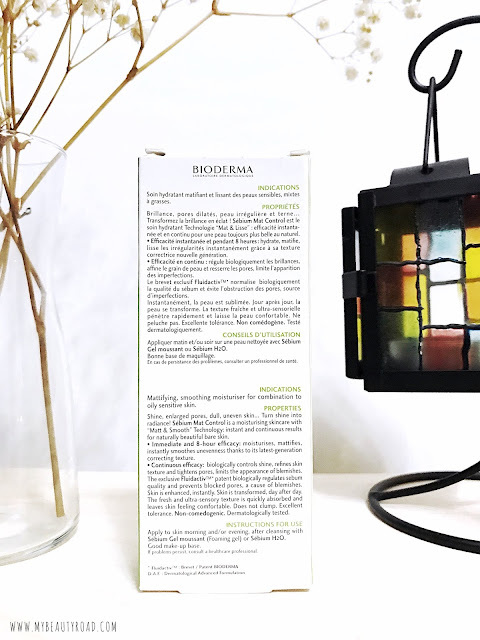 It contains a blend of active ingredients that helps balance the skin’s pH, reduce excess oil and keep the skin hydrated. It provides 8-hour lasting hydration thanks to Glycerin. It regulates the skin’s pH to a healthy level and limits the growth of P.acnes bacteria with Capryloyl Glycine (amino acid). It reduces sebum production and has anti-bacterial properties with the help of Zinc Gluconate and Vitamin B6. It gently exfoliates and refines skin’s texture with Salicylic Acid. Last but not least, it helps tighten pores thanks to the astringent properties of Mushroom Extract. Directions: Pour onto cotton pad and sweep across skin in an outward motion, or pour onto palm and pat into skin with fingertips. Avoid eye and lips. 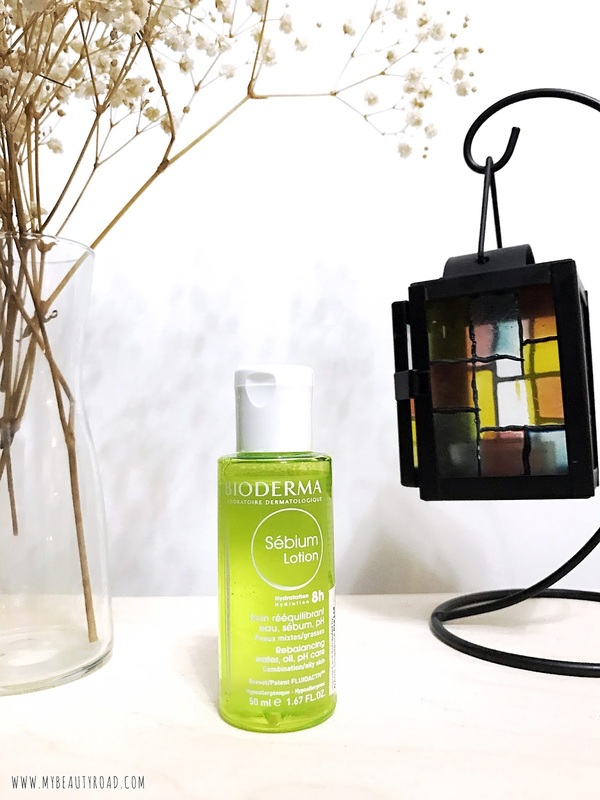 For best results, use together with Sebium Mat Control for optimal shine-control and hydration. My Thoughts: For those with oily skin like me, this is a very basic lotion to own. I personally have not witnessed any significant improvement in my skin, either in terms of sebum production or acne formation. With that said, I have only used this for a week, so it may not be long enough to notice any difference. 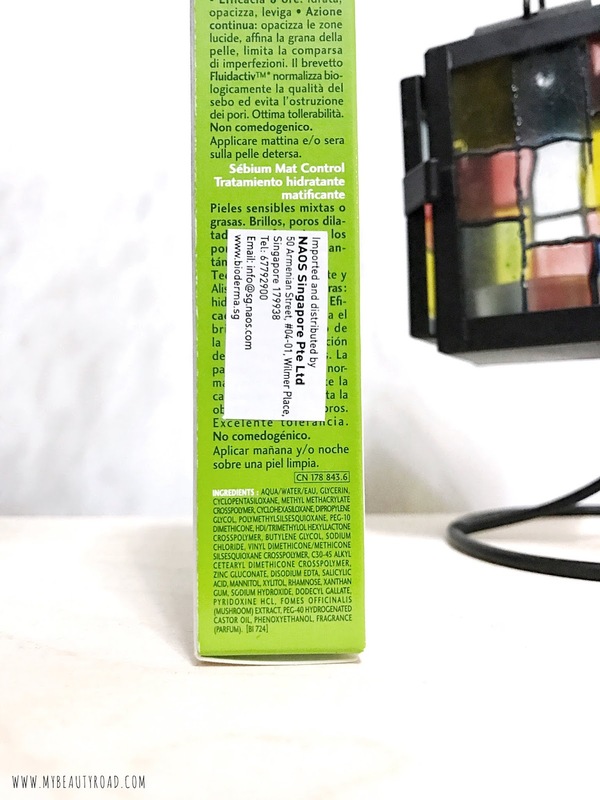 Also to note, my skin has been pretty stabilised recently (I don't know if I should give credit to my current skincare regimen or my raging hormones that have probably decided to calm down for now), so I'm relieved to report that this lotion has not aggravated my skin or caused any breakout. 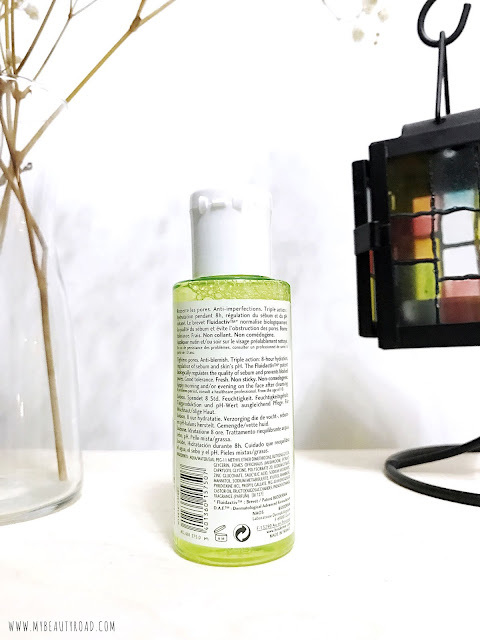 Instead of treating this like a lotion, I prefer to use it as a toner with the cotton pad method to help get rid of any last trace of impurity on my skin. Description: A daily moisturiser that provides just the right balance of shine control and hydration. It helps to effectively control excess oil, soothe skin and prevent dryness. It promises 8-hour shine control and smooth effect thanks to the Matt and Smooth Technology which includes mattifying micro powders and silicones that help to instantly reduce shine. It provides 12-hour hydration with Glycerin which keeps the skin well-hydrated. It ensures clear complexion and smooth skin in 7 days thanks to Zinc Gluconate and Vitamin B6 which help control shine in the long run by reducing sebum production. It minimises the appearance of large pores with Mushroom Extract’s astringent properties. It refines and improves the skin’s texture with the help of Salicylic Acid. Directions: Squeeze out a sufficient amount and apply on skin in an outward motion. Can be used as a makeup base. Avoid eyes and lips. 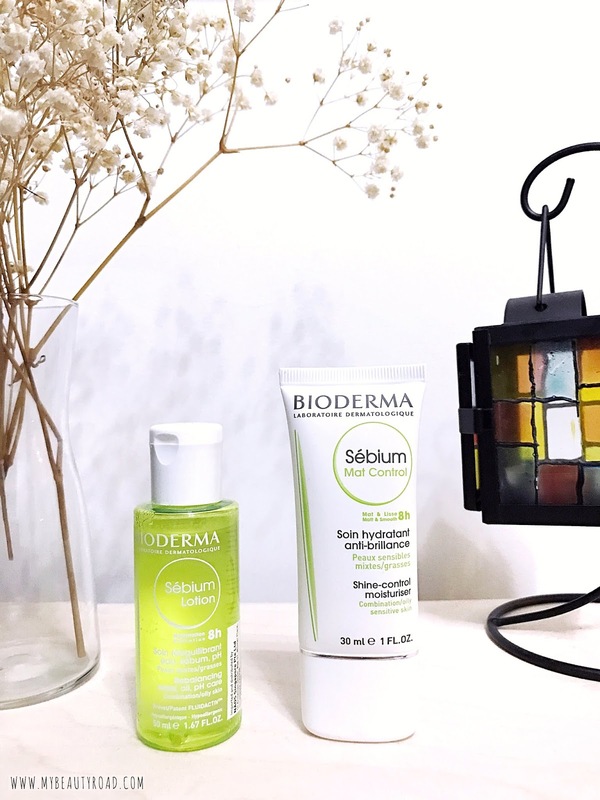 For best results, use together with Bioderma Sebium Lotion for optimal shine-control and hydration. 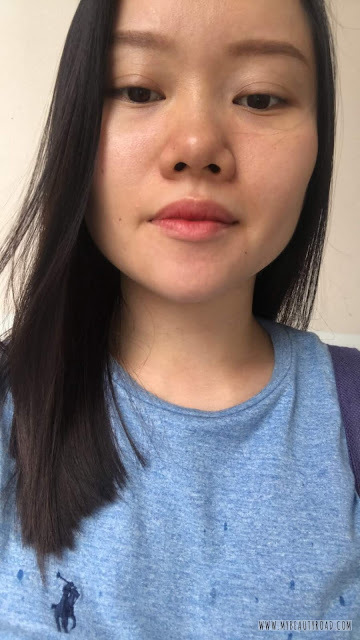 An embarrassingly candid, completely bare faced (save for brows and tinted lip balm) and totally unedited photo of me that I snapped for my partner a couple days back around 6 P.M. after getting a hair cut hahaha. Left is with Bioderma Mat Control, right is without. It's the only picture I can find of myself with half the product on my face for comparison. Do you see a difference? The Sebium Lotion and Sebium Mat Control are available for sale islandwide from 1 June 2018 onwards. Buy 1 and get the 2nd item at 50% off! Click here and here to be directed to their product pages and promotions. 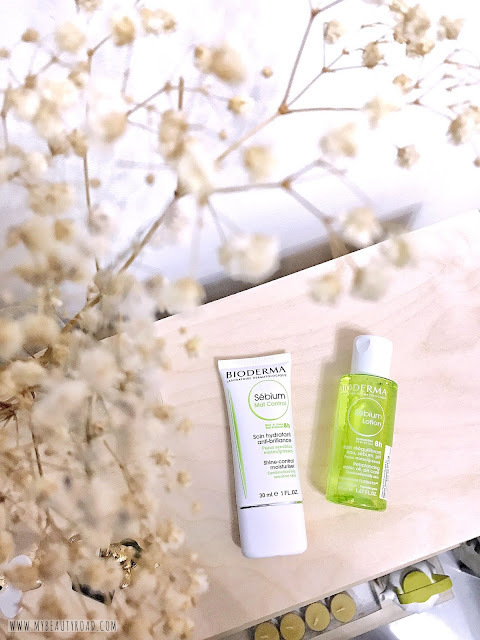 Disclaimer: Products featured in this post were sent to me by Sample Store (representing Bioderma Singapore) for review. While this is a paid engagement and post does contain information from the brand itself, thoughts and opinions expressed above are strictly my own and based on my personal experience. I am not affiliated with both companies.